If you enjoy working with talented people who are dedicated to getting the job done right the first time—but who also strive for work-life balance and appreciate a little fun at the office, now and again—you’ll love working with us! Merjent management promotes an environment where people and projects can succeed. That includes maintaining a corporate culture built upon a foundation of understanding, kindness, tolerance, and mutual respect that values each person in the company. We care about employee wellbeing and management is proactive in promoting safety, providing workplace flexibility, and supporting programs and events that enable healthy lifestyle choices. Our culture embodies teamwork, while also valuing and rewarding individual contribution. 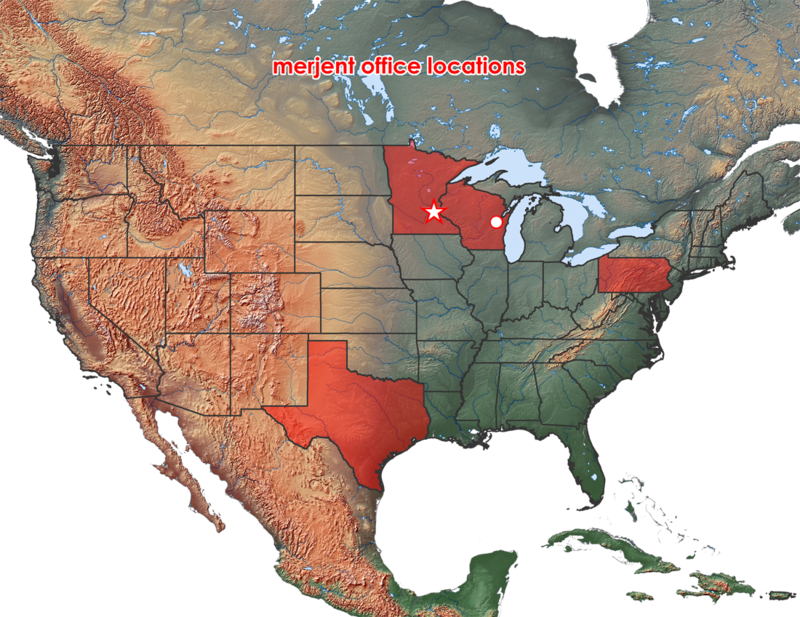 Merjent is a privately held company and we offer a highly competitive compensation and benefits package. Our business model is based on equitable distribution of earnings and the shareholders and board of directors have always believed in providing a supportive environment where people are encouraged to realize their potential. Check out our values and how we work for more on Merjent culture. The benefits at Merjent are more than just a list of medical plans. With our comprehensive Total Rewards package, our goal is to help you stay physically, mentally and financially healthy. That’s why we offer you a wide variety of programs and perks to do just that. Merjent pays up to 95% of employee’s medical insurance premiums. Enrolled employees enjoy discounts on gym memberships and weight loss programs to help maintain a healthy lifestyle. We provide safety nets for your financial security through traditional and Roth 401(k) retirement plans with a generous match. Taking time off to rest, relax and rejuvenate is important. All employees start off the calendar year with 21 days of Paid Time Off, which combines vacation and sick time together, so you have more control over when and how to spend time off. Exempt employees are eligible for Comp Time as well. Employees may work remotely if they so choose. All our conference rooms are designed to support communication when employees are away from the office. We host many events throughout the year-from baseball games to picnics to food drives. We balance hard work and play to foster team building and strengthen our connections to each other. We care about our communities. Merjent gives each employee 8 hours of paid time to volunteer and also offers matching funds to donations that employees choose. Visit our Charitable Giving page for more information. We hire and retain some of the best in the business, including people like you! We recruit motivated, hard-working individuals who understand that client satisfaction is the key to our company’s success. We seek creative problem-solvers and those who view challenges as opportunities. We encourage all qualified candidates to apply. We believe in the benefits of workforce diversity and we recruit and hire the best person for each position, based solely on their qualifications and their ability to perform the job, with reasonable accommodation.